I realize you haven’t heard from me lately. It is not that I have been hiding out or busy fighting with villains of project management. Actually, I have been working hard on a project that has been secret until now. Over the course of the last few months I have had the honor of working with ODTUG in the 2016 Leadership Program. This has been a great experience that has given me opportunities to meet amazing people. In addition, I have been able to tap into a wealth of support and resources that have helped me to grow my EPM knowledge. I am excited to share the work that has been going on in the Leadership program with the launch of ODTUG’s new Career Track Community. This community is 2 fold. First, it is targeted at recent college graduates that are starting out in their careers and looking for resources on Oracle products. Second, it is for those who may find themselves in a career change and are looking to expand their knowledge of Oracle products. If you or someone you know fits these scenarios then please check out the new community site at http://www.odtug.com/career . You can also follow the community at #orclcareer on Twitter for new information. This community is a must have for those in Oracle careers. Don’t forget to share with others in your network who could also benefit by adding #orclcareer to their tool belt. I often meet people who tell me that they would be good project managers because they are good at organizing. I agree, organization is a core competency to project management. It’s great to be in a career where you can play to your strengths. But hold on. Before you give your 2 weeks’ notice and start a LinkedIn search for “project manager”, I encourage you to consider the dark side of project management. Oh yes, there is a dark side of project management, and it doesn’t get much focus. The dark side of project management consists of delivering bad news to project stakeholders – it is addressed as part of communication and not an easy superpower to master. Darkseid an evil villain in DC Comics, had developed a plan to destroy Earth by attempting to brainwash Superman. However, Darkseid’s evil plan was stopped before Earth met its destruction. Aided by Darksid’s army, Superman was ultimately able to defeat Darkseid and once again save the Earth from peril. As a project manager, you may get stuck thinking that you were paid to make sure everything is always green. Attempting to avoid the negative stigma that may come with bad news. You may think as a project manager that you dare not say the schedule has slipped or the project is about to go over budget. On the contrary, just as Superman had to battle Darkseid, project managers must battle the reluctance to deliver bad news in difficult situations – often times with difficult people in order to save the project. The following are some tips I have learned for delivering bad news to stakeholders on projects. Realize bad news is hard. It’s okay to be nervous. We are just humans but don’t let it get the best of you. Be prepared for what you need to say and the best format to present it. It will not help the situation to hide behind email. If a conversation needs to occur gather the facts and be prepared with what news needs to be delivered. Don’t delay the communication. Don’t think the situation is going to get better or that somehow it will magically correct itself. On the contrary, waiting will mostly likely make the issue worse. Communicating the issue as soon as it occurs gives the team an opportunity to react and make mitigation plans. In most cases, you will find everyone is willing to help correct the issue and will offer alternative solutions. Make the audience comfortable. Often difficult conversations will put people on the defensive. Be sure to give attention to where you deliver the information including being aware of others in the room. Speak slowly and clearly to the audience. Be thoughtful to how the person is reacting and when they need to speak. When the audience is comfortable they will be more willing to offer solutions and be apart of the action plan. Use inclusive language. Your bad news is much more likely to be received in a constructive manner if it is not presented as an “Us vs. Them” situation. Use words that avoid excluding others instead of us and them use “team” to show everyone is in it together. It’s important to remember projects are delivered by teams and not individuals. Make a bad news sandwich. Here is a little trick to make that bad news just a little bit easier to swallow. Example: The team has been working hard to reduce the open items and we have been able to close 90% of the major defects. There are 3 remaining defects that need to be resolved before going live. The team estimates this will require approximately 2 weeks to correct and test the defects. The users have provided positive feedback and taking the extra time will improve efficiency by eliminating the manual workaround. Developing your superpower to deliver bad news will improve not only your project management skills but also increase your project success. I hope you use the tips provided next time you are faced with the dark side and forced to have a difficult conversation. With practice and preparation you will learn to deliver bad news in a success manner that leads to positive action. In this episode we find our project manager with a long list of deliverables and not enough time to complete them all. Being a skilled PM, he attempts to prioritize the list with the team. The action is simple, rank the deliverables from 1 to 50 in order of importance. Simple right? Wrong! Conflicting opinions and lack of understanding keep the team from being able to come to agreement on a ranked list. So it is clear there is more than 1 top priority so our PM decides to take another approach. Group the features by Must Have, Nice to Have, Not Important. This is going to work better since the team will be able to focus on what is most important. Not surprisingly, the new list is full of Must Have and just a few Nice to Have. Still there is no clear priority and time is running out so what is our PM to do? Don Reinersten, introduced the Cost of Delay in Principles of Product Development Flow. The idea is simply that when the cost of delay is high, the priority should be greater. WSJF has been documented as part of the Scaled Agile Framework (SAFe) by Dean Leffingwell. Using Cost of Delay, features are further prioritized by including how long it will take the team to complete. This method allows for features to be prioritized by those with the greatest value and the lowest effort. Business Value: Determine and rank the value to the business. This could include automating a manual process or creating a new product. Time Criticality: Consider deadlines or decreasing value if the feature is not delivered. Risk Reduction/Opportunity Enablement: Estimate how a feature will reduce a risk such as audit deficiencies or create an opportunity like a new product in the market. Gather all the requirements and have them visible to the subject matter experts. 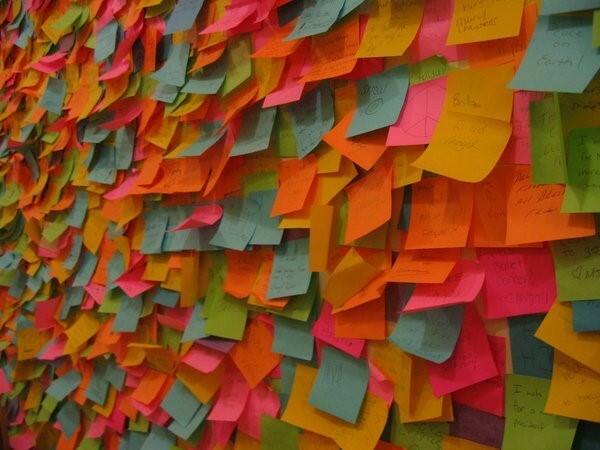 You can use index cards, sticky notes, or a spreadsheet. Have the team review each feature 1 at a time and provide a ranking for each category. Having the team think about each category individually will take away from the anxiety of creating a number 1 and allow them to focus on what is important, critical, etc. The scale used for raking features is 1,2,3,5,8,13, and 20. Note: A number can be used for each category once per feature. e.g. For Feature 1 (see above), if the business value is determined to be 3 it cannot be assigned for Time Criticality or Risk Reduction. Once the subject matter experts have ranked each feature have the development team estimate the size. Adding WSJF as a tool in the superhero tool belt has created success for my projects by breaking down the daunting task of prioritization. I love this method because it slows the team down to really think about what is important and creates an agreeable prioritized list of features. In almost every superhero’s story there is that point where he feels defeated and wants to give up. Yet always, there is the person in the story who is always a voice of inspiration. 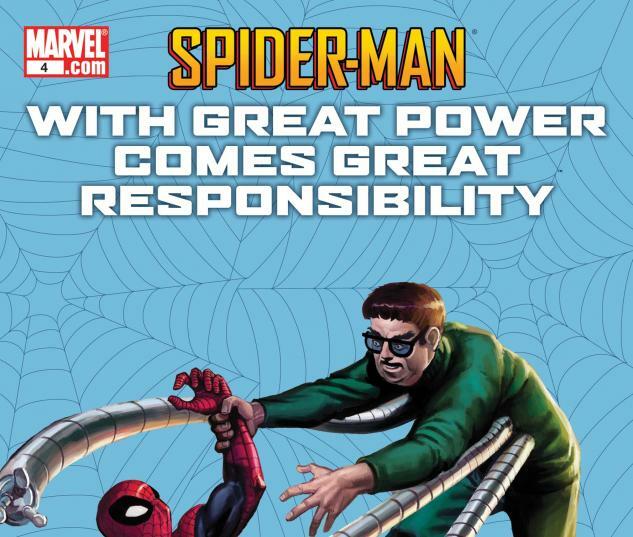 The one that speaks some words of wisdom and from that, the superhero finds renewed energy and purpose. Lucky for us we don’t have to wait for that person to come along. There is wisdom all around us. Don’t believe me? Just open Facebook, linkedin, or Slideshare (among the countless other social media platforms) and you will be bombarded with inspirational quotes. I recently read a post that said “Find what you love and do it everyday”. That quote struck something within me when I read it. Maybe because I didn’t always love what I did. Now, don’t get me wrong, I have had a great career with some really great companies. I just wasn’t really “inspired” until I discovered project management. Once I discovered the world of PM, I knew I wanted to do it everyday. That is also why I teach it and why I am writing this blog. I love project management and I am glad to do it everyday! A change in direction does not mean the team failed. The path to the end goal is filled with twists and turns. As more becomes known about the project we may often realize that where we were headed wasn’t where we needed to be. Lead the team through the change but don’t be afraid of change. There is always a better way to do something. This is so true, I have often been surprised to think I was executing to textbook only to have someone with an idea that was perfect. Sometimes we just get so focused that what we need is to come up and look around. Listen to what others have to say. Their idea could be better. Don’t let best get in the way of better. I am such a perfectionist. I will spend so much time ensuring that all the boxes line up and the fonts are consistent. In the end, that isn’t what people notice. They are looking for content. There is usually an opportunity for revision so don’t wait until it’s perfect to share. Shout great news publicly but whisper bad news privately. Doesn’t this seem logical? Think about it, how happy were you when someone publicly announced your bad news?! We all appreciate kindness and subtlety. We also appreciate a little applause when we do something well. Think about how to share the news before communicating. The cost to do it right will outweigh the cost to redo it after it was done wrong. You have been there. Faced with the decision to move quickly in order to meet the deadline or miss the deadline to ensure quality. What I have noticed is that people will not remember you were 2 weeks late but they will remember how painful it was to clean up the mess. There just isn’t a good reason to sacrifice quality. Find what you love and do it everyday! 1. Explain to everyone what a manifesto is and how it will be used for this exercise. I provided a definition that I found on the web (see below) and explained we were going to create our declaration for the process we were working on. 3. To get started, provide everyone with a blank sheet of paper and a marker. Ask each team member to think about the topic and create a manifesto. Each member should think about his or her goals and beliefs around the topic of discussion. 4. 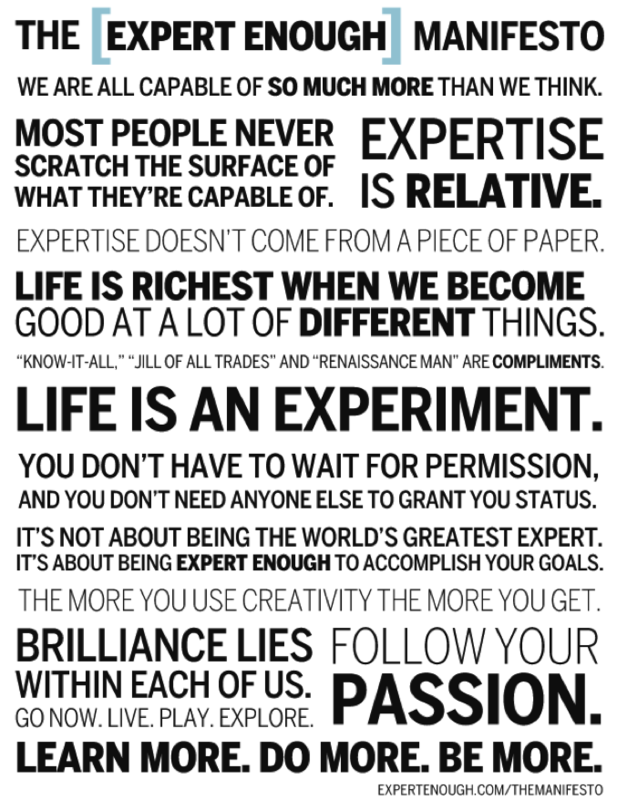 After all team members have finished writing, have everyone post their manifesto on the wall and read each of the statements to the team. 5. Next take a highlighter and mark all the words or ideas the team had in common. This will start to build a sense of collaboration with the team when they see their common ideas across all the statements. 6. As a team, take the common ideas and draft them into a single manifesto that represents the team’s declaration. Post the manifesto for everyone to see and refer back to it when the team starts to get off course. 7. To make the manifesto more interesting we took the common ideas and put them into a wordle (wordle.net). That gave a fun graphical representation that the team could refer back to. I think that statement could be transformed into a great manifesto. So how do we create a superhero manifesto? In vintage superhero style I will leave that as a cliffhanger until the next episode. In the meantime, I encourage you to try the exercise out with your team. Episode 56: What does that signal mean? In the last episode we learned about Earned Value Management (EVM) and the benefits it can bring to a project. A downside of EVM is that it is not commonly understood in many organizations. So if the project stakeholders do not understand what you are reporting they are more likely to ignore the indicators that as a PM you may see as a call to action. Let’s look at Batman again. The Bat signal has claimed many origins over the years. In this episode, I am going to focus on Batman’s “Night in the City” Season 2, Episode 13. In this episode Commissioner Gordon invented the bat signal to summon Batman. The idea of the bat signal is really rather simple. Send an alert to Batman in times when Gotham City was in danger. Suppose Gordon or any other member of Gotham City had not communicated to Batman the intent of the signal. What would be the expected response vs. the actual response? Likely, Gotham City would not see the immediate result desired. Earned Value Management (EVM) is a powerful signal to alert of a projects distress. Project Managers that use EVM need to understand how to communicate and report the signals appropriately to project stakeholders. EVM provides performance measurements based on schedule and cost as well as provide forecasting. Following are typical stakeholder questions and the appropriate EVM tool to answer those questions. Stakeholder: Are we on schedule? This question is answered with schedule variance. The schedule variance indicates if the project is currently tracking according to the baseline plan. SV provides the variance in a monetary value. Stakeholder: Are we over budget? To answer this question we are going to look at cost variance. The cost variance indicates if the project is spending according to the budget. CV provides the variance in a monetary value. Stakeholder: How much more will we have to spend? This is a good question and one that is needed to answer the next question of how much is this going to cost us? To answer this question a project manager can use Estimate to Complete for a statistical answer. ETC is expressed in a monetary value. Note: ETC can also be calculated by summing up the estimates on the remaining work packages. Stakeholder: How much is this going to cost us? This question is answered with Estimate at Completion. EAC is the expected total cost to complete the project. EAC takes into consideration what has been spent (AC) and what is projected to be spent (ETC). EAC is expressed in a monetary value. Consider a tolerance for measuring the health of EAC. For this example we are using a stop light indicator to show the health. A status of green shows the project is within a 10% tolerance. Red shows the project will exceed the 10% tolerance. Yellow shows the project is nearing a 10% tolerance and needs review. How is status being reported today? How will this change what your stakeholders see on a regular basis? If the change is completely new to the organization offer a reference guide or training so stakeholders can become comfortable with the new metric. Explain the math. A project status report holds more weight when there is quantifiable math rather than a feeling or perception. Report the status early and often. Nobody likes to think things are on track only to find out at the end of the month the project is red and will not make its scheduled milestone. Constantly evolve. Once the new reporting metrics are rolled out, you may find that adjustments need to be made. Don’t be afraid to make small adjustments until you are providing value to your project and to the organization. Empowering your stakeholders with knowledge of your PM tools will help to ensure the project receives the support it needs and helps the team to succeed. A project management superhero will find EVM a valuable part of the PM tool belt. Scope Management a topic so worthy of discussion it is a knowledge area all it’s own in PMI’s Project Management Book of Knowledge (PMBOK). Like an anti-villain, scope can be a project manager’s ally or enemy. As an ally to the project manager, the project scope provides boundaries for the project and creates a frame of reference when questions arise. However, left unmanaged scope can become the project manager’s worst enemy. Shifting priorities and conflicting view points can take the scope from well defined to out of control thus leading to over runs and potentially project failure. Mastering scope management is not an easy task. We can take from the lessons of Marvel’s famous anti-villain The Silver Surfer. Born to a world that was able to solve every problem imaginable (i.e. crime, disease, hunger, poverty) the Silver Surfer sought out opportunities for freedom. 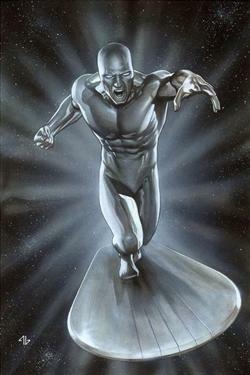 Armed with powers given to him by Galactus, the Silver Surfer could manipulate matter, sustain himself without food or water, and could travel beyond the speed of light. In the beginning his scope was clear, find new planets for Galactus to devour. By offering up new planets, Norrin Radd (Silver Surfer) could spare his own planet. Upon his encounter with Earth, the Silver Surfer’s motives changed and instead of offering up the planet for Galactus, he joined forces with the Fantastic Four to save planet Earth. This effort in itself was not without cost as the Silver Surfer was confined to Earth by a cosmic energy barrier. A change to scope is not necessarily a bad thing. In the case of the Silver Surfer, saving planet Earth was obviously a worthy change in course. As a project manager don’t assume just because organizational management has an idea, that it is a good idea. Make sure to discuss the proposed change to ensure the impacts are thoroughly understood. Before committing to the change: explore alternatives, estimate the cost of the change, and identify risks associated with making the change. If the change still seems like the right direction take it through a change control process. For the project manager a change control process will help ensure the project stays on the right track. Once approved be diligent to document the change and update any project management documents including the risk register. A project manager that can develop a super power in scope management will have an upper hand to do battle with villains like scope creep.